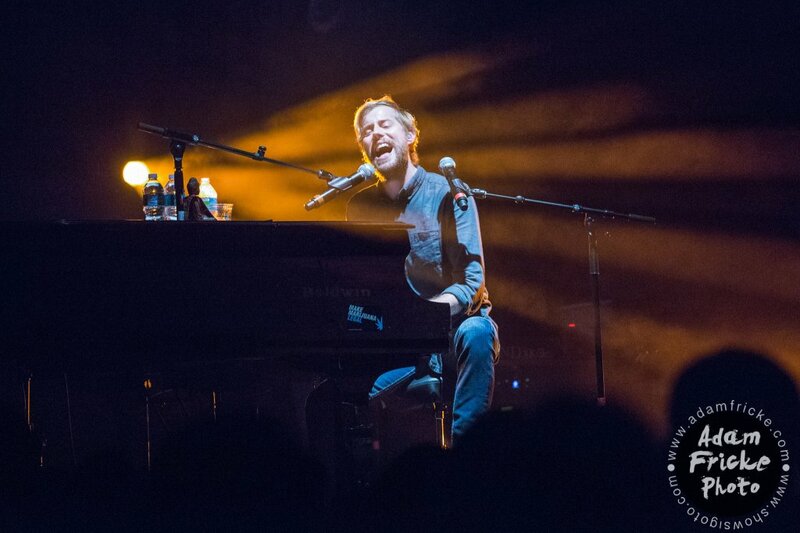 Versatile artist Andrew McMahon in the Wilderness, fresh off a career-boosting spot opening for veteran rock bands Weezer and Panic! At The Disco on their monumental summer tour, unleashes his second studio album under this moniker after jumping around between different musical projects. He continues to settle into a nice of pop-punk vocals covering melodies that sound like they were meant more for an indie-pop audience to great effect. Zombies On Broadway frequently shows that McMahon has an excellent penchant for catchy hooks despite frequently falling into similar-sounding territory. The album is brief and to the point, and contains 10 upbeat, sugary microcosms of the unique mix of sounds McMahon is trying to put together here. What we’re going to get from this project is a surprise from the very start, as opening track “Brooklyn, You’re Killing Me” actually features a very simple chorus that accompanies the track’s main draw: Twenty One Pilots-emulating rap verses from McMahon that work a lot better than they should due to the speedy and energetic live drumbeat which buoys the track. For the most part, however, McMahon presents an intersection of pure bubblegum pop melodies and lyrics, and guitar-driven instrumentals that harken back to the days when bands like the All-American Rejects dominated pop radio. The vocalist accompanying this combination falls more on the latter side of the scale. The overall feel of the project seems to be an attempt to overload listeners with happiness, so much so that it almost becomes annoying in its excess. But in small doses, this is incredible feel-good music. I want to sing along to every one of these hooks in the crowd at a music festival. The main takeaway from having this many extremely catchy hooks on this project is this – this man needs to start writing for some pop music superstars and the musical landscape of the radio might get a lot better. The contrast between his almost whiny voice and the joyful words he sings regarding the rushes of life and love are engaging. “Don’t Speak For Me (True)” is the clear jewel of the album, featuring a more musically complex melody in the structure of a pop song that reminds me a lot of Carly Rae Jepsen’s recent work on tracks like “All That”. The quick syllables in the pre-chorus and pounding synth piano all assist in building up and exploding into a huge falsetto chorus. McMahon is frequently overtly cheesy, but he is an expert in selling the cheese. “Shot Out Of A Cannon” is another song which is obnoxiously positive on the surface, but the passionate delivery eventually makes you submit to the sugar rush – McMahon knows how to play to his strengths. As one might infer from the great song titles, the lyrics’ pop sensibilities don’t mean they conform to the meaningless cliches the radio throws at us either – when taking a break from speaking about just how great he feels, McMahon is able to paint vivid pictures of places and situations. “Love and Great Buildings” is a good example, beginning “My heart is an apartment building on the verge” and spending most of the track describing the room and its state of disarray in detail. Despite standing at only 10 tracks in length and not even reaching the 40-minute barrier, the album becomes way too similar as it reaches its end. I can only take so much four-on-the-floor and saccharine hooks at one time – these songs are all actually quite good, but were not really made to listen to one after another. To continue the Jepsen comparison, I think McMahon could be a lot better if he ascends to fame further and accrues a more established team of writers and producers to assist – almost every Jepsen song is a polished pop masterpiece, but there are some clearly weaker tracks here. A song like “Walking In My Sleep” is painfully underwritten and relies on drawing out the word “sleep” repeatedly to an unbearable degree. While its safe to say that McMahon successfully avoided the sophomore curse, I think there is still a lot of room for improvement – which is saying something, as most of these tracks are so fun that I almost can’t help but to get up and dance. Having a unique and fully-fleshed out niche sound is important in today’s ever-evolving musical world, and McMahon has this in spades. Further diversification of individual tracks is the main thing which will continue to help down the road.